Thank You For Playing Season 17!! A Surprise Of An Interview that Began the Start Of Our Journey! So this video was an interesting one to say the least. 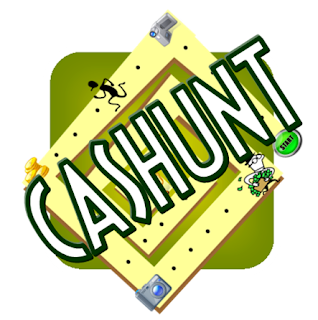 This was conducted back in 2009-2010 and I was asked to be interviewed about our game. Now the reason why it was so interesting is because I had just finished a game on a hot summer day and ran to this interview because I was running late. Once I got there I was mike up and ready to start the interview. As I am waiting for the host (I'm off camera) I am reading his teleprompter and not realizing at that very moment after all the hard work we put in to building this brand where we ranked in the city. It was once the camera went onto me and I was smiling it was for a reason I thought we were ranked 300 something out of 350...not 4th of 350. So lets just say I was giddy...but after this interview was shot...thats when things started to change for the game! Always Hustle!! 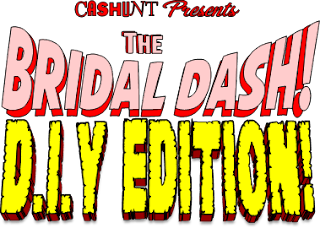 Cashunt Bridal Dash DYI Games! NEW!! CASHUNT : BRIDAL DASH DIY EDITION! !